Steve Bannon Warns That GOP Would Lose 40 House Seats If Election Were Held Today, Launches New Group - Joe.My.God. 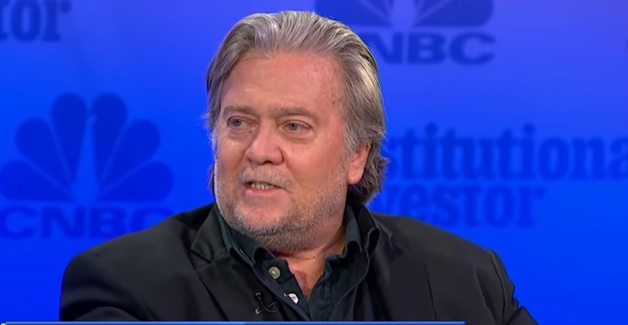 Steve Bannon has a dire warning for Republicans — rally around President Donald Trump. During a Sunday interview with The Associated Press, the former chief strategist to Trump said he believes the GOP would lose 35 to 40 seats in the House if the election were held today, thereby ceding their majority to Democrats he’s convinced will pursue impeachment. He argued there’s still time to turn that around and is launching a group, Citizens of the American Republic, to pitch the election as a vote to protect Trump from that outcome. Bannon’s propaganda film Trump @ War opens next month.